I hear that Microsoft didn’t take one of my BETA bug reports very seriously. Even after updating the drivers through windows update, audio is an issue. Sound is still stopping on my Analog Devices sound card, with no errors, just an absence of noise. Type net stop audiosrv and press Enter. Type net start audiosrv and press Enter. Now go and play that CD you wanted to listen to! Save the file as restartaudio.cmd in Desktop. 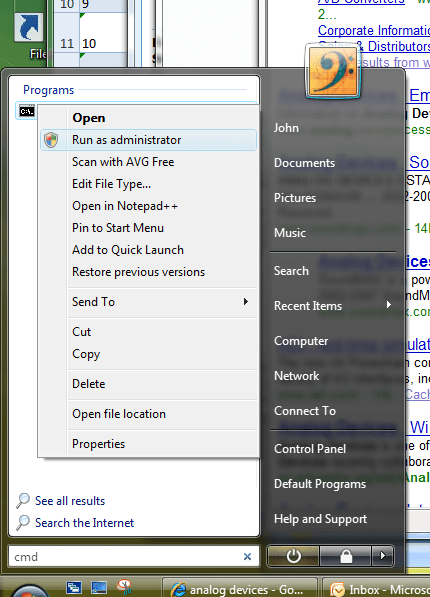 Now, whenever the audio plays up, right-click on the file, and select Run as Administrator.